Ah, the Grand Canyon, the stuff of legends! 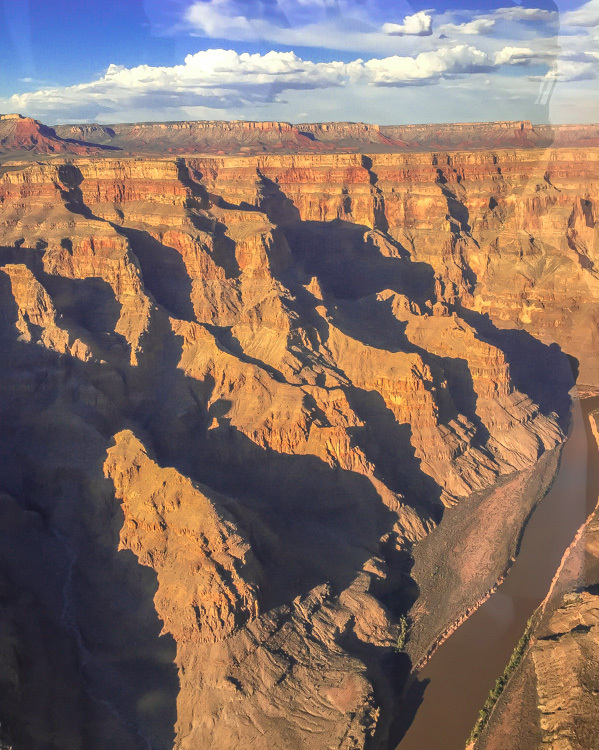 Averaging 10 miles wide, 277 miles long and a mile deep in sections, it’s no surprise that it’s seen as one of the 7 wonders of the natural world. It’s vast scale and millions of years of history have always fascinated me. As such, finding myself in Nevada it seemed unwarranted not to explore this magical natural formation. None the less, time restraints would not allow us to explore the canyon by car. 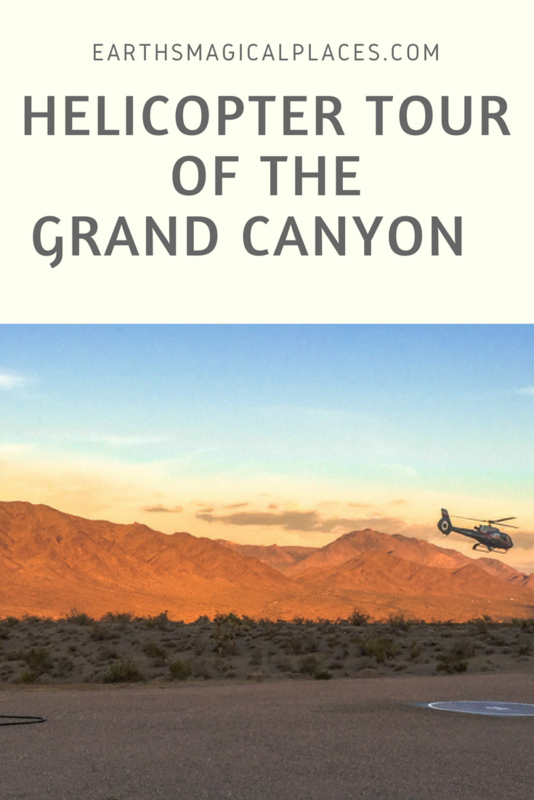 As such, we pre-booked onto the most exhilarating excursion of our All American Road Trip, a Helicopter tour of the west side of the canyon, and its surrounding area. Our tour of choice was Mavericks Silver Cloud Sunset Tour. 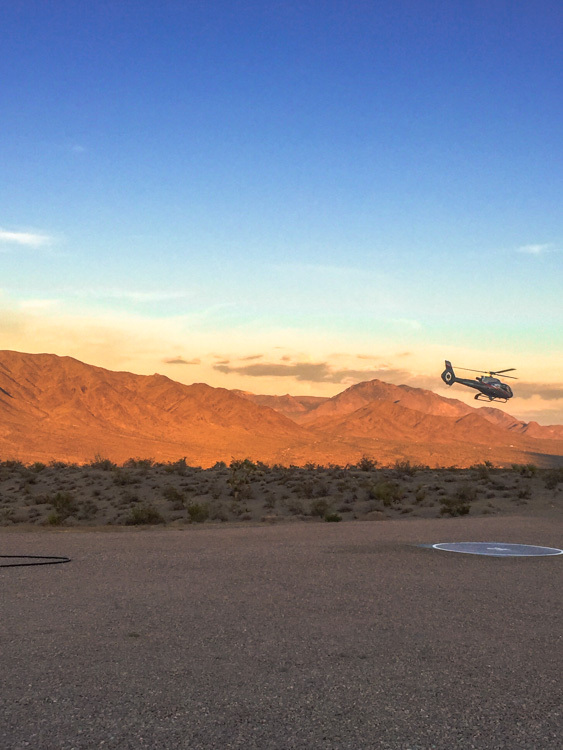 This encompassed an unforgettable early evening flight from Las Vegas International Airport into the unknown of Nevada Desert. Despite my excitement, I was slightly hesitant; there’s just something I don’t quite trust about helicopters… I mean how do they stay in the air? However, my nerves were quickly calmed by our experienced pilot and before I knew it, our helicopter (along with several others on the same trip) took off in the oddest, yet most impressive, convoy I’ve ever encountered. The hustle and bustle of Vegas was quickly replaced by the remoteness of the desert. Thus, shortly after our departure, my eyes were drawn to the gleaming white structure of the Hoover Dam. It stands out from the red tones of Nevada’s rocky landscape like (excuse the expression) a sore thumb. Even from the air, the dam is impressive! Standing at 221m high, it took five years to build from 1931 and has since become a historic landmark within the US… And it’s easy to see why! Along with the 640 km² Lake Mead, Hoover Dam is a truly astonishing feat of engineering. The glimpse I caught made me want to see it up close to appreciate its true scale and industrial beauty… Simply another excuse to return to the captivating state of Nevada! Circling away from the Dam, we headed deeper into the desert. By this point, despite having a few air vents, the heat within the helicopter was starting to bother me – being a Brit, I’m simply not accustomed to 45°C heat!! However, my mind snapped out of worrying for the poor bugger who would have to wear my sweaty leather headset next and was instead brought back to the breath-taking landscape around me…. 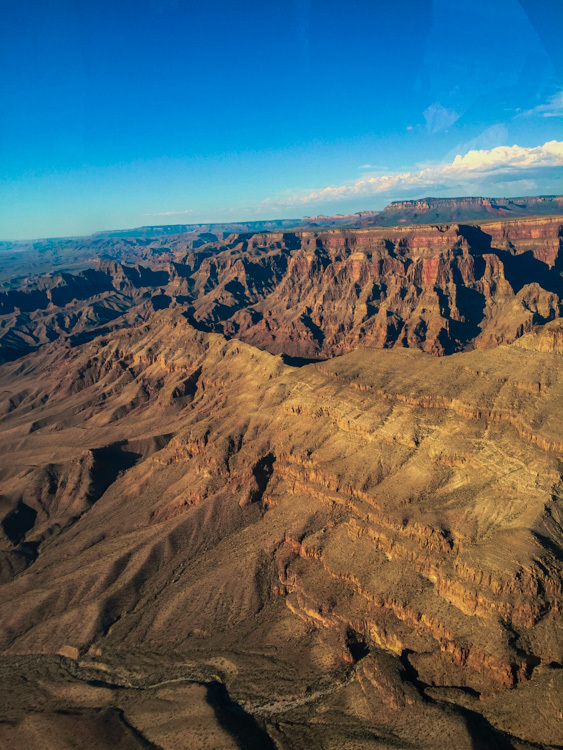 The Grand Canyon certainly lives up to its name! 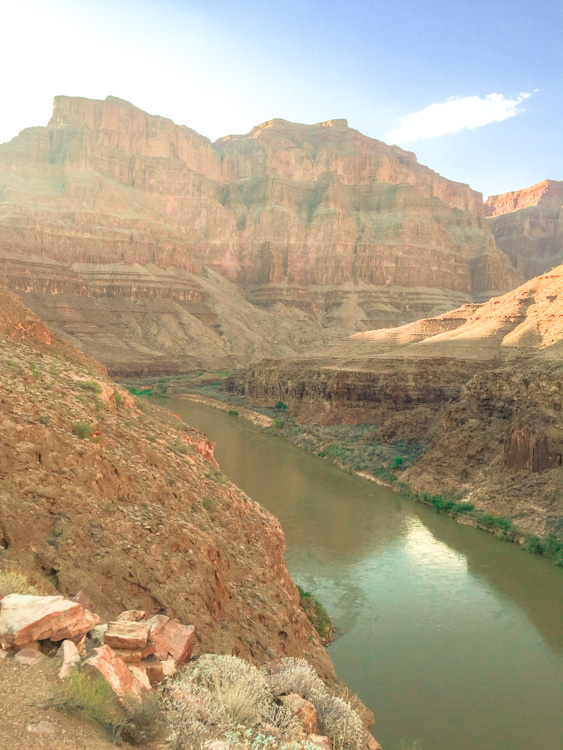 As the Colorado River sweeps through the landscape, the touring walls of the canyon engulf it, rising up into the clouds like an impressive skyscraper in our planet’s cities. 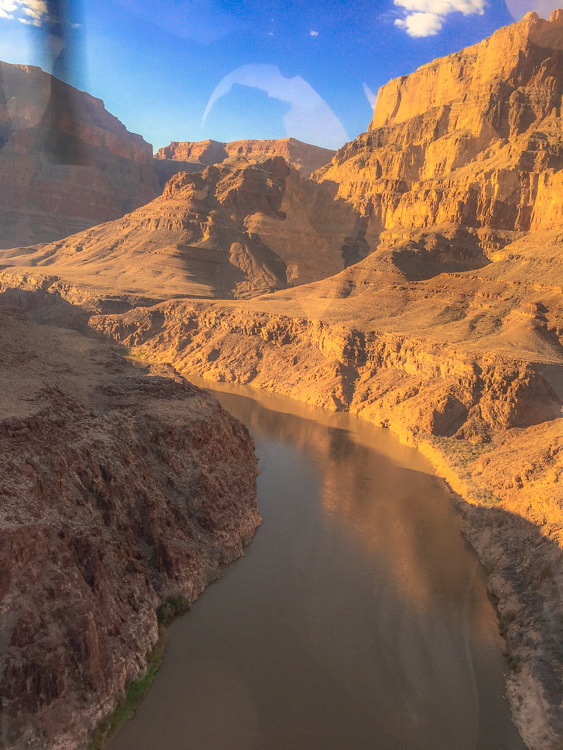 But, it was when the Helicopter landed within the Canyon that I truly appreciated its scale and magnitude – words can’t describe the beauty of what is essentially a rock formation. Our evening trip was the perfect time to explore from the ground! The level of the sun in the sky means the colours within the rocks truly come alive. The light bounces off the layered red bands, magnifying its brilliant vibrance, something which can not be done justice within photographs! The experience was only made better by a glass of refreshing champagne… As much of the canyon is based on Native American land, the drinking age is 18 – yay for me! 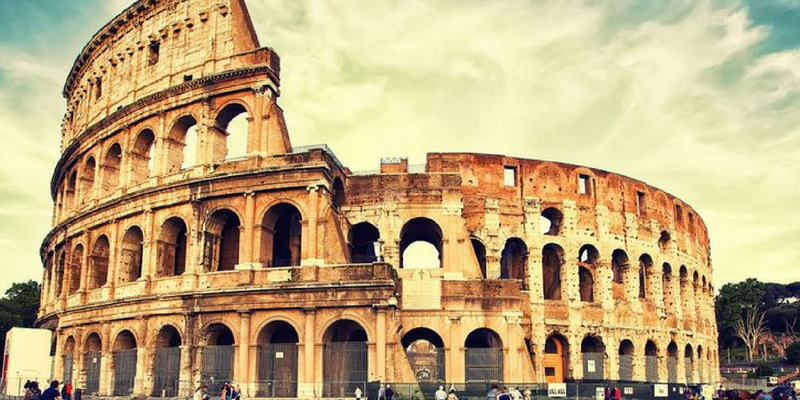 This once in a lifetime experience did not come cheap: $449 per person for the 90-minute tour. None the less, it was an adventure that I’ll surely be telling my grandchildren about one day and isn’t that what travel is really about? There are several different companies offering a similar experience but, I couldn’t recommend Maverick enough! 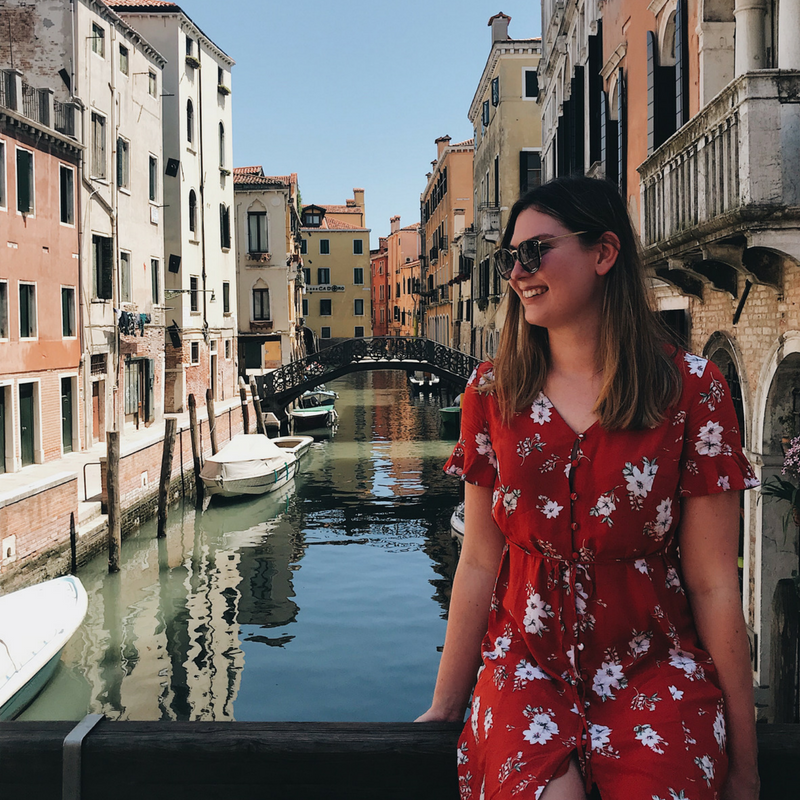 They were laid back whilst still being organised kind, and generous – I mean where else are you going to be able to drink champagne in the desert! Awesome experience! Pricey but I’m sure it was worth every penny. Sometimes, you have to spend a little money to see what it’s all about! That looks spectacular. Another detail added to the list. So far I had read about hiking in the area. An aerial view Cannot hurt! Merely looked at some of your images (: i’m really happy i reached task darkness you. This is something that I want to do the next time I go back to the Grand Canyon! 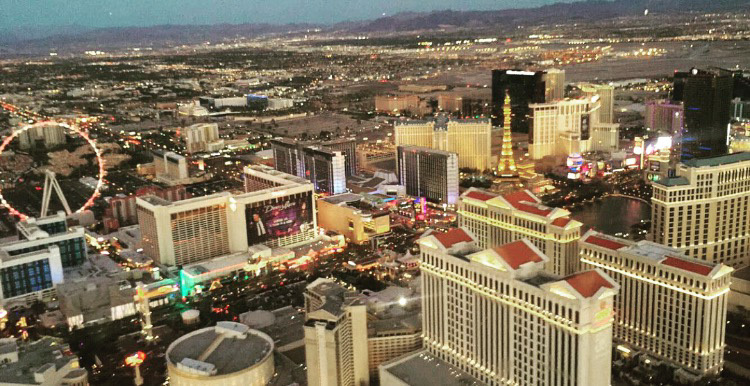 The views looks amazing from above and you can see so much! It’s a really amazing experience for sure! What a fun adventure! 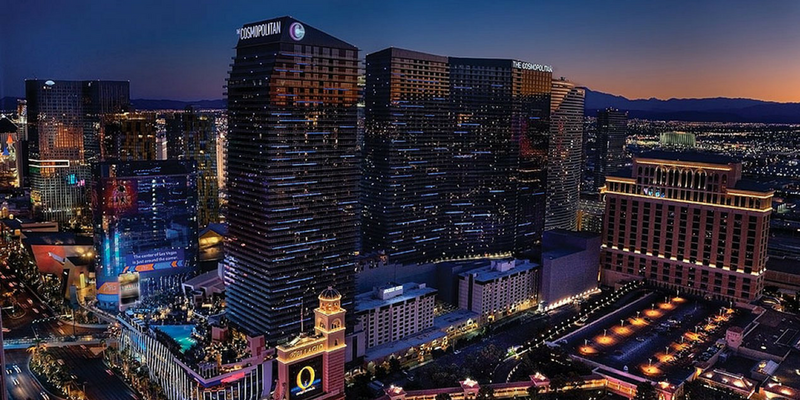 I love that it includes the contrasting setting of the Vegas strip with the natural rock formations. These are such beautiful photos that some look more like paintings than photos.